Grammy Award-winning producer and engineer Paul Irizarry “ECHO” has successfully worked for the last 15 years with major urban and pop artists in Latin, mainstream, and European markets. Producing, recording and/or mixing songs and albums for the likes of such artists as: Ricky Martin, Pitbull, London Symphony Orchestra, Tego, Nicole Scherzinger (Pussycat Dolls), Alek Syntek, Paulina Rubio, Tempo, Daddy Yankee, Don Omar, Vico C, Ivy Queen, Thalia, Nina Sky, Wisin & Yandel, Voltio, Tito “El Bambino”, Farruko, FLEX, Beenie Man, Cultura Profética, Alexis & Fido Cosculluela, Orishas, Jazze Pha, Obie Bermúdez, Twista, Abraham, Fat Joe, Ariana Puello (Spain), La Mala (Spain), Ojos de Brujo (Spain), PUYA, La Secta, Crooked Steelo, La India, Eddie Dee, Hector “El Father”, y Giovanni Hidalgo to name a few. Echo’s experience and expert knowledge and taste for music have allowed him the opportunity to work in different musical genres and tendencies, ranging from Pop, R&B, Hip Hop, Reggaeton and Christian Music. One of the top professionals in the industry, respected for his talent and accomplishments, known as a leader and pioneer of the Latin urban and reggaeton movement. 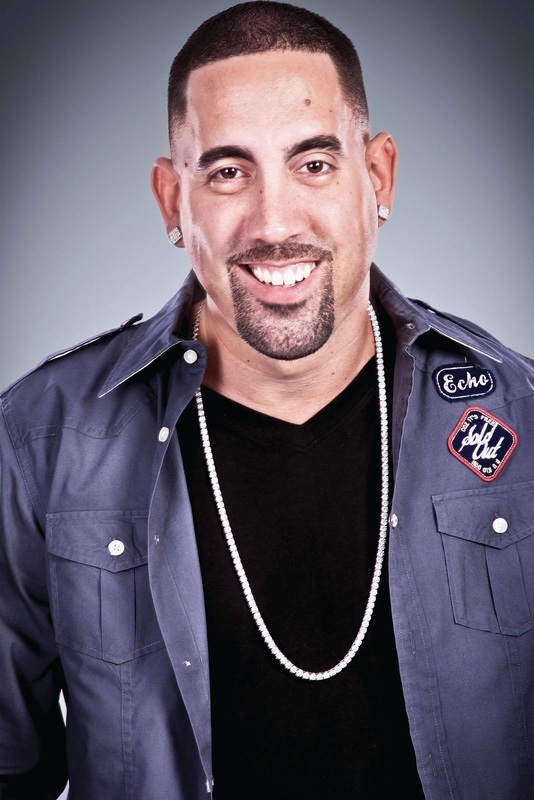 Echo has received three Latin Grammy Awards, the first two for, as producer and engineer, on 2004 Vico C's (EMI Int'l) 2003 album "En Honor a la Verdad" and the other in 2005 with Daddy Yankee's (UMG) 2004 album "Barrio Fino". Echo has been nominated for over ten Grammy Awards including Record of the Year. In 2006 Echo became the first producer to ever record the London Symphony Orchestra (LSO) for an urban project, directing a 73-piece full orchestra recording on a hip hop arrangement at Abbey Roads Studios, London for the FREE TEMPO (Sony/BMG) project. Responsible for creating career-making hits for the biggest artists in the urban market like Wisin & Yandel, Tego, Don Omar, Vico C, Daddy Yankee, Tempo, Ivy Queen and many others. Movies like “The Fast and the Furious 3, 4, 5, and 6 sequel”, “Talento de Barrio”, TV shows “Shark” (HBO), " The L Word (HBO)", games like “Grand Theft Auto IV” as well as advertisement campaigns for Nike, Popular Mortgage, KIA Motors and many others have featured Echo’s music and work.